Bill Mayer, well known to CAES members and to many classicists outside New York State, passed away on April 27, 2017. Bill was raised in Colonie, New York. As an undergraduate he attended SUNY Albany, which at that time had a flourishing program to prepare high school Latin teachers. Bill ultimately decided to pursue a doctorate at Columbia and later began teaching at Hunter College of CUNY, which became his home for the rest of his professional life. Despite “moving up,” Bill always maintained strong connections to secondary teaching. He was passionate in the belief that high school and college faculty need to work together to insure that Classics continues to play a vital role in American education. 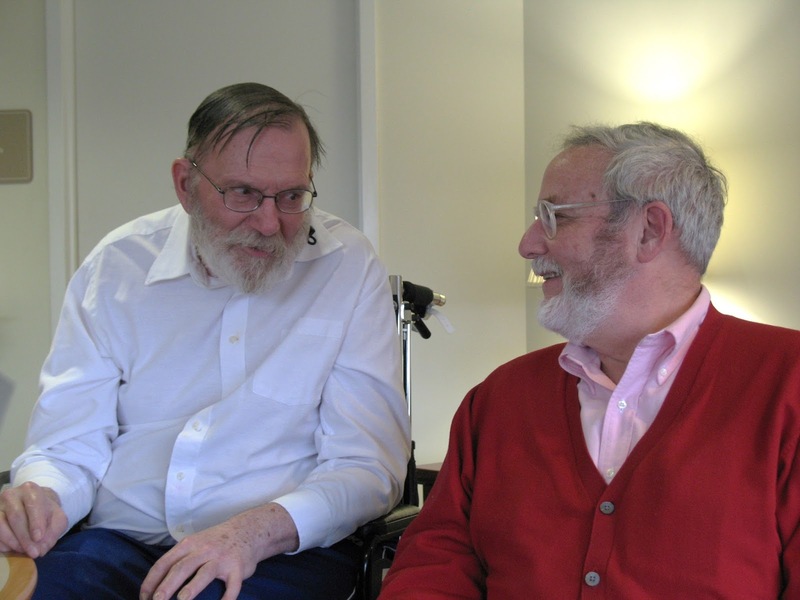 Bill visiting with Hunter MA alumnus Don Buck in 2015. Of Bill’s many contributions to the profession, perhaps the most enduring is the role he played in establishing the MA Program in the Teaching of Latin at Hunter (1988). Despite a real shortage of Latin teachers, during the 1980s no institution in the greater New York area catered to the needs of those seeking Latin certification. To address this problem, Bill enlisted the support of his colleagues at Hunter and helped shepherd the proposed MA program through the CUNY bureaucracy until it was approved. For many years he taught the important Latin methods course as well as others. The Hunter MA program became a great success, partly because it is accessible to students who are working full-time, whether as teachers of subjects other than Latin or in fields outside education. 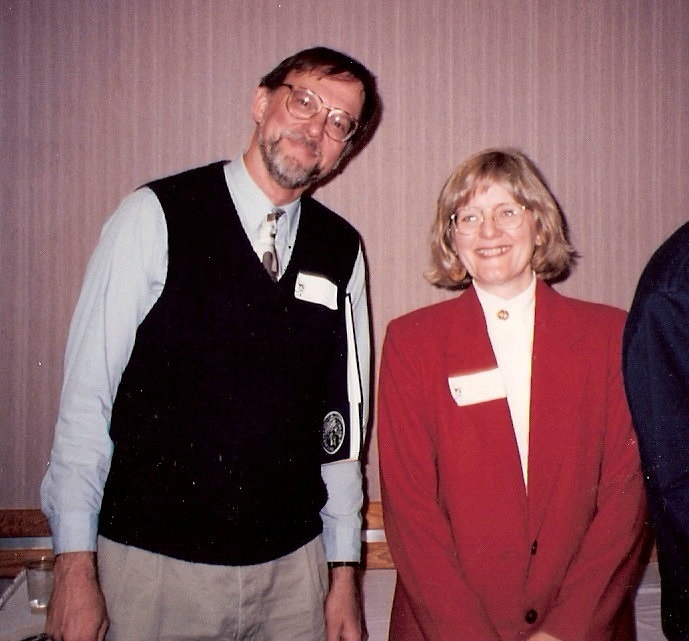 In 1998 CAES recognized the importance of the Hunter MA Program by granting it the Outstanding Latin Program award. Bill was a stalwart supporter of CAES. For many years, hardly an Institute took place without a presentation from Bill. His workshops were both lively and erudite; attendees never left without lots of ideas and lots of handouts (in his trademark large font) to use in their own classrooms. He presented on many topics -- Roman authors, both famous and obscure, epigraphy, numismatics, even music. A longtime member of the CAES Executive Board, Bill served twice as President, 1982–1984 and 2006–2007. Together with Bill Godfrey, he organized the summer workshops for teachers held for several summers at Stony Brook, as well as the one at Vassar College in 1995. Bill was a delegate from CAES to the New York State Council on Languages and served a term as SCOL Chairperson. He was a strong advocate of working with organizations outside the field of Classics to advance common goals. CAES recognized Bill’s many contributions by presenting him with the Spillinger Award, given to a classicist who has made significant contributions to the profession. awards from ACL in 2003. The American Classical League also benefitted from Bill’s leadership. He frequently presented workshops at the ACL Institute and served as Vice President / Program Chair (2009–2012). 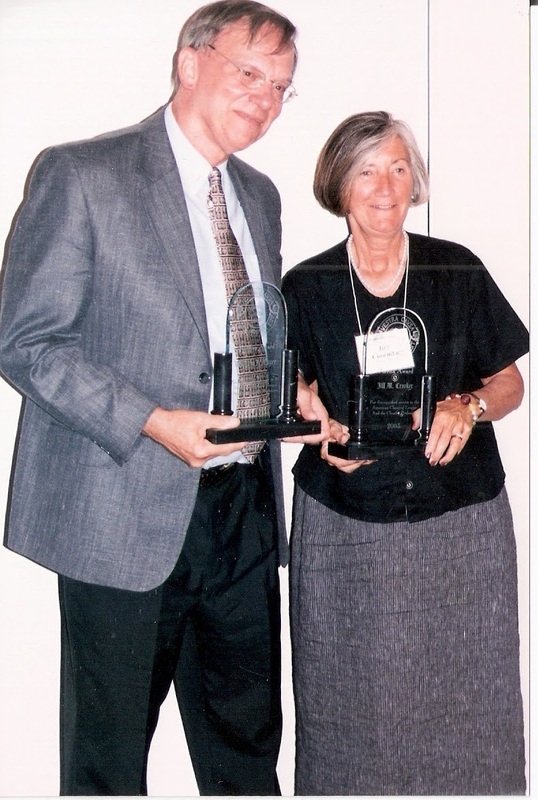 ACL recognized Bill’s contributions to the profession with its Meritus Award in 2003 at the University at Buffalo, and many CAES members were present to see Bill receive this honor. Bill also served a term as Chair of the National Committee for Latin and Greek. 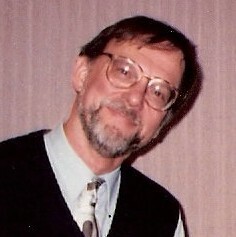 In addition, Bill was active in the Classical Association of the Atlantic States, serving on the Executive Board and concluding with a term as President (1997–1998). CAAS honored Bill with an Ovatio at the October 2012 joint CAAS/CAES meeting in New York City. This was a special occasion since Bill was able to attend and reconnect with many friends. Bill served the College Board as a Reader for the Advanced Placement examinations in Latin for a number of years, a job that requires great care and precision to insure consistent grading on all papers. For many years Bill lived in a loft in SoHo; he loved the excitement and cultural life of New York City. Later he acquired a house in Beacon that eventually became his main home. While living in the Hudson Valley, Bill was active in the First Presbyterian Church of Phillipstown. About 2010 Bill began to experience health problems. He retired from Hunter College and later moved to be near his brother in the Pittsburgh area. Bill and former CAES President Karen Hammerlof at the Institute. Perhaps Bill’s greatest hallmark was his generosity. He freely gave his time and energy to institutions such as CAES and ACL, but even more so to individuals. Despite his busy schedule, he often spoke at regional meetings of Latin teachers and went to high schools to give presentations to students. (Roman numismatics was one of his favorite topics and the kids loved the actual ancient coins that he brought.) Bill was an ideal mentor to many prospective teachers. He would go to impossible lengths to accommodate them, traveling hours to conduct observations, even meeting one student regularly in a diner during that student's lunch break to teach him an independent study course. A number of our colleagues in CAES today say that they would not be teachers if it weren’t for Bill. His kindness and generosity is what I treasure most. In an era of ambition, self-promotion, and incivility, Bill’s warm and gentle nature reminds us of what we all can be. As the Romans carved on their tombstones: Sit ei terra levis. I took Latin grammar at Hunter with him. A beautiful man and respected professor who dedicated his life to the profession. The sine qua non of educators.